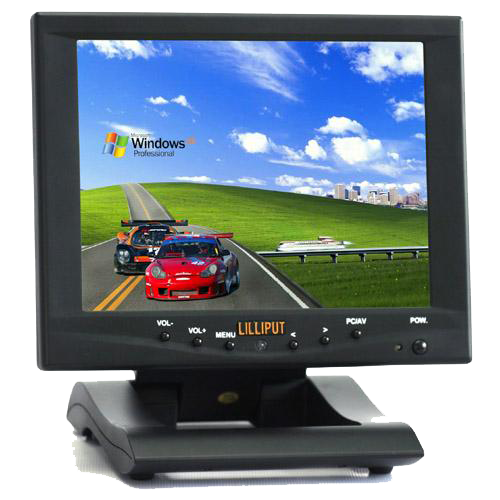 Lilliput's FA801-NP/C/T is a great value 8" VGA monitor and is hugely popular amongst customers looking for simple, low footprint touch screen terminals. Featuring a 4 wire resisitve touch screen, the monitor can be used to control Windows and Linux based desktop systems. With a foldable desktop stand (which can be removed) this monitor is popularly installed in lecture theatres, remote viewing locations and among automation integrators.